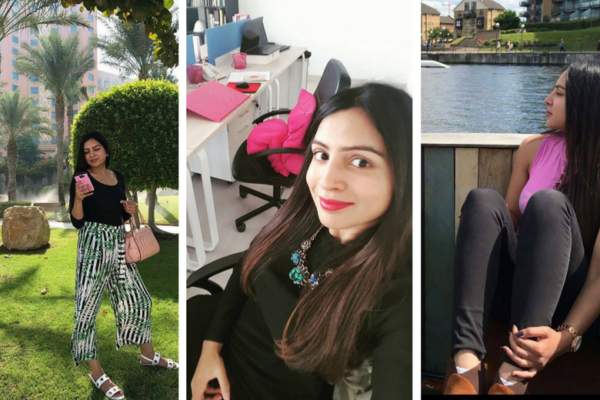 This week I am interviewing Jehan Nizar, an Indian short story writer who lives in Dubai! What is your elevator pitch for your work in progress? Jehan: Wow! Now that’s a tough one … I always find it hard to summarise the premise of my entire book into a few succinct sentences but I’ll give it a go … My manuscript is basically a collection of short stories that would fall into the broad genre of diaspora fiction. It’s titled The Pool House and Other Stories and is about the lives and relationships of modern diasporic Indians like myself who constantly straddle two conflicting worlds – one westernised and the other tinged by an “Indianness” they often struggle to come to terms with. Have you ever thought of which actors would play your main characters? Jehan: You know it’s interesting you should ask that because although I’ve never thought of my stories in terms of the cast, I have been able to see them being translated into a visual medium. Here’s the thing, Indian actors in Hollywood have always seemed to me quite stereotyped and I sometimes cringe at the way they’re portrayed. So to answer your question, no. I can’t think of an established name. I’d pick someone realistic. A young British Indian or American Indian … maybe even someone who’s never acted before. A living, breathing young person whose angst and feelings of alienation would actually translate into the role. Jehan: With some of my characters the names seem natural and I write the stories with these names in mind. Other times, it’s more of a struggle. I often write the whole story with an elusive she/ he or the infuriating Xxxx, believe it or not! Then I let the story breathe for a while and mull over a name … try them on in my head until they feel right. Do you remember how recently I was discussing a story with you and was excited because I had come up with a name for my female character and it just felt like she couldn’t be anybody else except a Fathima, short for Fatty. Eleanor: Oh yeah, I can’t wait to read that story! It sounds fantastic! Hard to give you a concrete answer. It sometimes feels like an infuriating love-hate relationship. But what I will tell you is that nothing comes close to the way you feel when you fill up the first empty page on a Word document. That invincible feeling of having sorted out this concrete jungle of botched up sentences in your head and then the beautiful alchemy of putting them all together, like the pieces of a puzzle. Eleanor: Ooh yeah, I feel you! Jehan: I’ve always said I was dyslexic with numbers, but I sometimes feel like writing is just like math. We, as writers, fix problems all the time. Of our characters, their lives, and then the prose itself at a microscopic structural level. Eleanor: I can really feel that when I read your writing! It takes you into the characters lives in such a microscopic way. Jehan: I’m such a laid back person that sometimes I think I really need to be more self-driven. When I started the MA being published was not really something I had thought about. I joined the course to write for the sake of it and to hone my skill. Things have changed a lot now. When I turned in that 30,000 word complete manuscript in September it was the first time I was able to entertain the possibility of myself as a living, breathing “real” writer. Since I’ve only written short stories so far and that seems to be the form that comes most naturally to me I’d say I would LOVE LOVE to be published in The New Yorker and Granta first – as most of the people I look up to seem to have gone down that route too – and then have the full manuscript published. The dream, of course, is to have my first collection published in its entirety. What kind of research do you do, and do you do it before starting a story? Jehan: So I’ve never been a very factual writer but two stories in my collection have involved a fair bit of research. One is called Dancing in the Dark and is set between London and a Kathakali dance school in Kerala. I read up about the dance form on the Internet and also watched a documentary or two to get insights into the subtle nuances and intricacies of Kathakali. I also had to do some basic research to nail the setting in London and make it feel authentic, which I hope comes across when I talk about a Sri Lankan restaurant in Wembley or the protagonist’s slightly grotty flat in Elephant and Castle. The other story I had to do some homework for was one set against the backdrop of an atmospheric family-owned Parsi Cafe in Mumbai. It was important to nail the quirks of the Parsi community, and make it feel real right from the “colony” the protagonists live in to their pop culture references. Okay, time to be honest! Do you have any unfinished books or stories sitting on your computer? Jehan: Erghhh, can we skip this one, please! Okay, maybe just one. I’ve been terrible about writing since I’ve finished the MA. I want about 2 weeks off from life, in general, to just sit down and write. Jehan: I do not. The one thing I will commend myself for this year is being much better about reading. I’ve read heaps of quality stuff and I like to think of it all as “research”. Eleanor: I know you read the New Yorker online because you have sent me short stories from it. When you are actively working on something, what does your writing schedule look like? Jehan: Mmmm. I think a couple of hours at a stretch with lots of mini breaks in between. I’ll write about five lines, feel mighty accomplished with myself and treat myself to a sandwich or do some other equally distracting thing. I like to believe it all balances out in the end. Eleanor: Ha, yes! So it isn’t just me! Jehan: Definitely not! I mean, we both know what our writing dates together were like! Okay, we are gonna move on to some fun reading questions! What is the first book or story that made you cry? I said fun, right? Jehan: Ha! A Walk to Remember I think, which is a very cringe-worthy confession. Let’s pretend I never said/read that. Jehan: O m g, yes! The God of Small Things by Arundhati Roy. I think the first time I read it I was too young to appreciate it but then I reread it just before I joined the course and devoured it. More recently, A Little Life by Hanya Yanagihara. Took me a good 100 pages to get fully stuck into but boy was it worth the read. NEVER before has a book made me feel all those emotions. It is a real modern literary masterpiece. Okay, I’m going to stop gushing now. Eleanor: You can gush over Hanya anytime! What is your favourite under-appreciated book? Jehan: Well, I don’t know if it is actually under appreciated or I’ve just never heard anyone else talk about it. It’s a collection of short stories called Lucky Girls by Nell Freudenberger. It is a stunning and realistic depiction of life in India and south east Asia by an American writer. Jehan: So many! Okay, if I have to choose, The Illustrated Mum by Jacqueline Wilson and The Little House on the Prairie by Laura Ingalls Wilder. Jehan: Tessa Hadley was my manuscript tutor on the MA programme at Bath Spa and the two pieces of invaluable advice I’ve been given by her were to always plunge your readers right into the scene with some sort of vivid action – which sounds very basic and obvious but is really hard to perfect and secondly, to always think of every scene you’re writing as a scene on a film reel, so you’re kind of giving blow-by-descriptions and a scene-by scene breakdown. Sometimes you have to take a step back from the scene and allow the readers to think and at other points, you zoom in and focus on the minutiae. These techniques have really defined my writing! Okay, just a few quickfire questions! Don’t think, just answer! Jehan: Ergh, planner, more, I think. Jehan: Both. I really can’t pick. Okay, the last thing, our next WhatsApp interviewee is James Glaholm, can you give me a question to ask him? Eleanor: I love it. Perfect! Thank you so much for joining me for the first ever WhatsApp interview today, Jehan! You’ve been a star! Jehan: Thanks so much, Ellie! Had an absolute blast doing this. An extract of Jehan’s work.